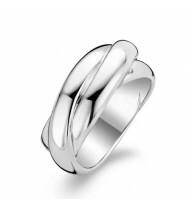 Ti Sento Rings There are 39 products. 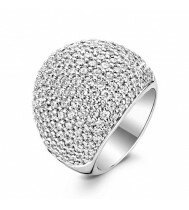 All Ti Sento rings are silver and rhodium plated and are available in finger sizes 50,52,54,56,58 and 60, these are European sizes and translate to L,M,N,P,Q and S for woman in the UK. 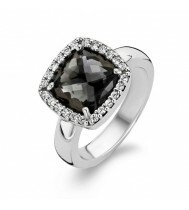 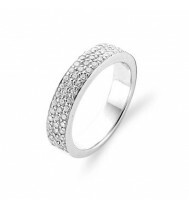 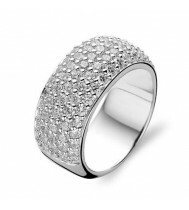 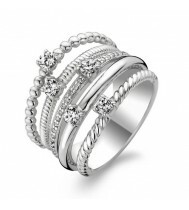 This Ti Sento ring features a rhodium plated sterling silver band with five rows of pavé set cubic zirconias. 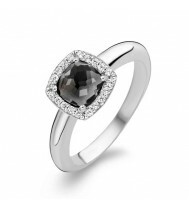 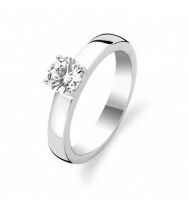 Ti Sento Rhodium plated sterling silver solitaire CZ ring. 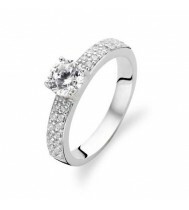 Ti Sento rhodium plated sterling silver ring with a claw set cubic zirconia centre stone and pave set shoulders which provide a uniform and glittering piece. 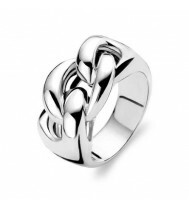 Ti Sento Milano Sterling Silver, rhodium plated Nautical Knot Ring.